The study of the properties of elementary functions, such as polynomial, absolute, radical, rational, exponential and logarithmic functions. Topics include equations, inequalities, functions, and their graphs. Students will formulate, analyze, solve and interpret mathematical and real-world problems. Student work will be completed in a third-party e-text platform as well as through the online learning management system. A mix of interactive figures, video lectures, examples, and help are available to assist students in the course. Throughout the course, students will have at least three opportunities to have video conversations with the course facilitator. Students will work with the course facilitator to create a customized learning plan to create a path towards course completion. In this problem-based quantitative course, students will have the opportunity to communicate and collaborate with other students in the course. Students are given opportunities to participate in student-to-student tutoring sessions for extra credit. 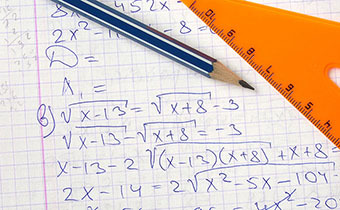 The course is intended to provide the algebra skills for calculus.